There is an underlying flaw weaved into the fabric of everything in the electrical safety world. It exists in the standards and has spilled right out into manufacturing specifications and engineering practices. Equipment and clothing manufacturers, engineers, trainers and just about everyone else you can think of in the electrical safety industry has had this wrong for many years. So what's the big secret? The secret is that 1.2 cal/cm2 is not safe. 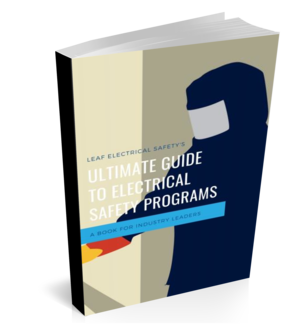 If you have been reading any of my other articles you may have noticed that I've already mentioned this before but if you keep reading you will be shocked to see how many times this magical number of 1.2 shows up in the electrical safety world. Why is 1.2 cal/cm2 not safe? The standards actually do come out and say that 1.2 calories per centimeter squared (so that's the amount of heat energy imposed on one square centimeter of skin during an arc flash) is the onset of second-degree burns, but that's about the extent of it. Now I understand from a practical standpoint you need to have a line in the sand, and the onset of second-degree burns is what is considered "survivable" so this makes sense. The issue I have is that the message has not filtered down to anyone working with the standard, calculating and posting arc flash labels or working with the personal protective equipment (PPE) and equipment in the field. An energy level of 1.2 is almost treated as a non-issue and in my opinion, it should always be treated as a big issue. Let's say that your crew has decided that they do not accept 1.2 cal/cm2 as something they want to take risks with and will always treat it as a serious hazard. Fantastic! But this is where the fun just starts and there are different places that 1.2 cal/cm2 will show up without you even knowing. If you take a look at the label on your arc flash clothing (and it was made to the appropriate specifications) you will notice something like "8 ATPV". This stands for Arc Thermal Performance Value, or in English, it's the amount of energy your clothing can absorb. What most people believe is that if you were to withstand an arc flash of 8 cal/cm2 and you were wearing clothing rated 8 ATPV then you would be fine. The truth is you wouldn't be fine, your torso would be exposed to 1.2 cal/cm2 of energy. Now remember, there is a safety factor built into the calculations on both ends so you would probably be fine, but the important thing is that you do need to take extra precaution (maybe through on an arc rated jacket) if these two values get anywhere close to each other. What is formerly referred to as "the arc flash protection boundary" is now renamed to the arc flash boundary. This is due to the name being very misleading. It should have been called the second-degree burn boundary because, you guessed it, the boundary is calculated at the distance that the arc flash would be 1.2 cal/cm2. Often barricades are placed at this distance and anyone standing outside the barricades is considered safe. Normally these bystanders would not be wearing any arc flash protective clothing and in the case of an incident could end up with a very bad burn. The bottom line is you need to treat 1.2 cal/cm2 as a very serious hazard. I know you are not going to get caught up in all the intricacies I listed above, but they are kind of fun to talk about. What I'd like to see is that for any arc flash hazard greater than zero you treat it like the effects could be devastating and take the appropriate measures to control the hazard.